Add palak pureed and mix well. Add red chilly powder, kitchen king masala, salt and mix well. 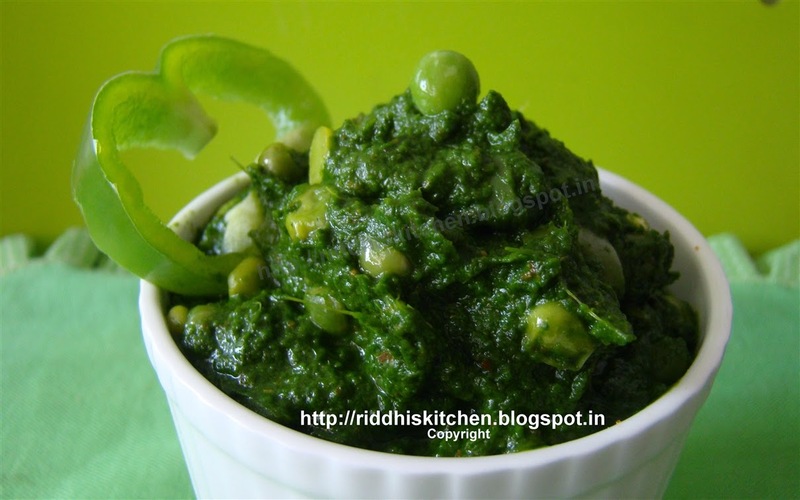 Cook for 2 to 3 minutes or palak pureed become semi thick. Garnish with capsicum ring and Serve hot with roti or paratha.